completed their college degree in Chicago before moving to Michigan’s Upper Pennisula. There, George joined a Physical Therapy practice and Jill became Director of Nursing at a Home Health agency. George joined a group diversified in orthopedics, sports medicine, and stress management. He also pioneered a state of the art industrial wellness program for the mining and forestry industries. Jill, despite of the remote location designes and tested one of the first computerized home health assessment/medical record systems which was eventually marketed nation wide. renowned leadership guru Orrin Woodward and his wife Laurie to develop a leadership and self development business called LIFE. Using this community building business model has given them the option to leave their jobs and be involved in leadership development full time. They became job optional in 2002.
the northern Tucson mountains on an eight acre hacienda. They enjoy hiking, rock crawling in their jeep, and the natural lifestyle that the southwest offers. 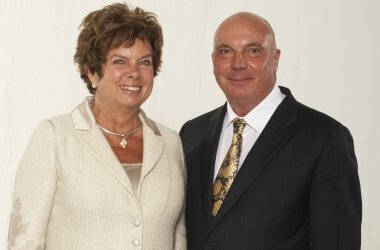 They are currently Policy Counsil members and LIFE business founders, and work closely with Orrin and Laurie. They are committed to teaching people in developing financial security using the leadership business called LIFE.